THIS PIANO IS NOW SOLD. We always have other similar pianos available.This is a rare example of a Yamaha C110A upright piano from the year 2000. 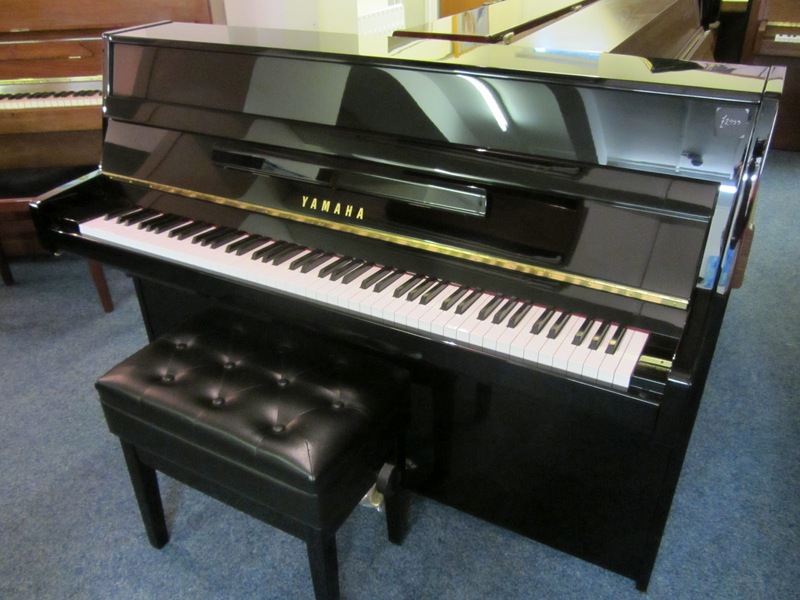 This is a lovely small second hand black Yamaha upright piano at a fraction of the price of the equivalent new Yamaha b1. This piano will not be around for long, so call us today.All of our prices include nationwide ground floor delivery, first tuning in situ, matching piano stool and minimum 1 year guaranteeView, play and compare this wonderful instrument alongside over 100 other quality uprights and grands, on site.We promise absolutely no high pressure sales, just honest advice, a wide range of pianos to suit all budgets, and a cup of tea in a relaxed and pleasant environment. ← More Reconditioned Yamaha U1’s and U3’s now in stock!